TUESDAY, Feb. 6, 2018 (HealthDay News) — Everyone wants a beach-ready body, and many are willing to starve themselves to achieve it quickly. But new research suggests that fat lost on crash diets may clog the heart and reduce its function. The good news is that this effect appears temporary. And for healthy people, there probably aren’t any ill effects, said the study’s lead author, Dr. Jennifer Rayner. However, the study researchers are concerned that the fat migration could pose a problem for people who already have heart issues. She is a clinical research fellow at the University of Oxford in England. Very-low-calorie diets — approximately 600 to 800 calories a day — are an effective method of weight loss and a way to quickly reduce liver fat and reverse diabetes, the researchers said. In the current study, the investigators asked 21 obese people to consume meal replacements — special milkshakes or soups — designed to provide 800 or fewer calories daily for eight weeks. Participants’ average age was 52. Their average body mass index (BMI) was 37. BMI is an estimate of a person’s body fat based on height and weight. 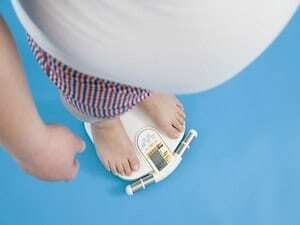 A normal BMI is 19.9 to 24.9, while overweight is 25 to 29.9. A BMI of 30 and over is considered obese, according to the U.S. National Heart, Lung, and Blood Institute. For someone who is 5 feet 9 inches tall, a BMI of 30 is over 203 pounds. All of the study volunteers had MRIs at the study’s start, and again after one week and eight weeks on the diet. After one week, total body fat, abdominal fat and liver fat dropped by 6 percent, 11 percent and 42 percent, respectively. Total cholesterol and triglycerides (another type of blood fat) fell. Insulin resistance and blood sugar levels improved. Blood pressure also improved. Generally, when such measures improve, heart health is expected to get better, too. But that wasn’t the case here. After a week on the diet, heart fat went up by 44 percent. And the researchers noted a decrease in heart function. Rayner’s team theorized that the sudden drop in calories causes fat to be released from different parts of the body into the blood. It’s then taken up by the heart muscle. But the negative changes didn’t last. By eight weeks, heart function and heart fat were better than normal. Body fat, cholesterol and all of the other metabolic measures also continued to improve. “This study demonstrated there was transient impairment in cardiac function with severe calorie restriction, and there was evidence of increased heart fat content,” Fonarow said. But the study didn’t show why this occurred, he added. Fonarow agreed with Rayner that healthy people probably don’t have anything to worry about. But people with heart troubles should talk to their doctor before undertaking any significant diet changes. Rayner added that it’s unclear if less-severe diets would have similar effects. The study was presented Friday at the European Society of Cardiology meeting in Barcelona, Spain. Research presented at meetings is usually considered preliminary until published in a peer-reviewed medical journal. Learn more about healthy weight loss from the U.S. National Institute of Diabetes and Digestive and Kidney Diseases.